The Maxi kitchen is our most popular kitchen, ideal for refurbishments or short term contracts. Linked to other Maxi units, it can offer an expansive kitchen layout "tailor made" to your requirements. 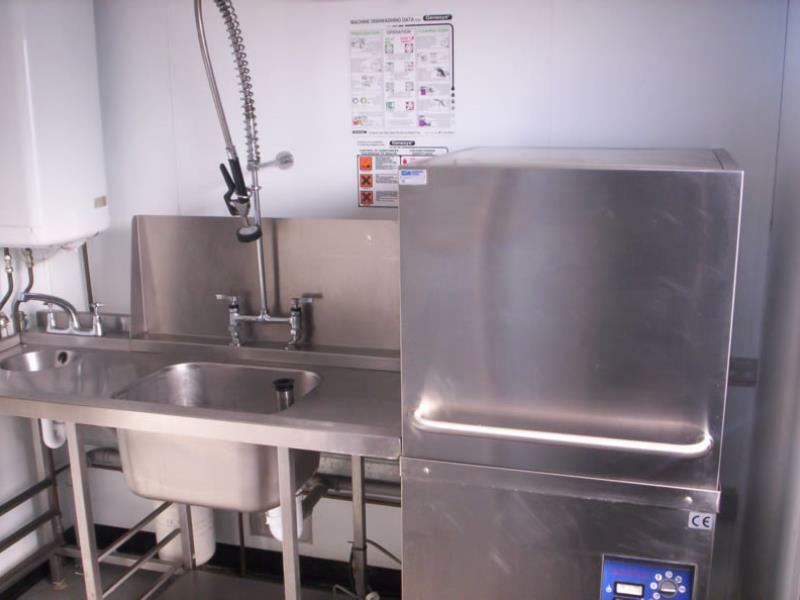 The Maxi Dishwash is an ideal dishwashing solution for schools, colleges and large functions. It is usually delivered by a flat bed trailer with hiab crane. Kitchens can be equipped from our wide range of Catering Equipment for Hire and we can source whatever you need. Visit our About Us pages for further information about On-Site Kitchen Rentals Ltd and our approach. To see examples of our installations, take a look at our Case Studies pages. All units can be connected to existing services or self contained as required.